Respond promptly when the Fishmaster attempts to contact you regarding the outing. If you know that you aren't going to go, scratch your name off the sign-up list or contact the Fishmaster or Outings Chairman. Due to attendance limits on some outings, please only sign up if you are reasonable sure you will be able to attend. If you can't go at the last moment, still please contact the Fishmaster. Provide a legible e-mail address on the sign-up sheet. Provide an e-mail address that you actively monitor. You must be a DVFF member with a signed Liability Waiver on file to attend an outing. 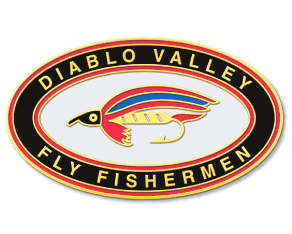 The Diablo Valley Fly Fishermen offers many outings and at least one seminar throughout the year. Occasionally outings are under the direction of a professional guide, but in all cases, they will have a Fishmaster to organize and administrate the activity. The Fishmaster will be familiar with the area selected. Most outings consist of weekend trips with 8 to 12 people attending. Catch and release is encouraged. Club outings are, without a doubt, the best way to meet other members and develop a sense of belonging to the Club. To participate in an outing, you must be a DVFF member with a Liability Waiver on file. All members must agree to this release of liability by checking the appropriate box during the application or renewal process. (Note that membership is a family membership includes both spouses and all minor children living at home). Outings vary from short, single-day trips to multi-day trips. Single-day outings go to destinations within about a two and one-half hour drive from the Bay Area. Many multi-day outings are planned near a campground where members can camp together, socialize and share in activities. Participants have the option of making their own arrangements for staying in nearby lodges or motels. A few outings are scheduled in fishing lodges. DVFF does not charge for nor make any money from the outings. 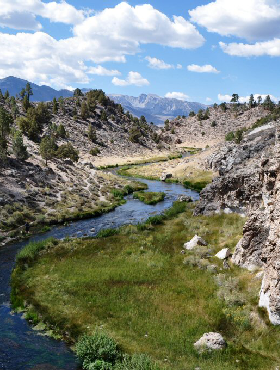 Many times there will be fees if fishing on private waters, if paying a guide, and for lodging costs, etc. Of course, participants are expected to pay their share for meals, campsites, rides shared, etc. Outings are planned well in advance and published in Windknots and on the website. Please note: Since space is limited on many outings, please only sign-up if you are reasonably certain that you are going to attend. If later you discover that you are not going to be able to attend either remove your name from the list or contact the Outings Chairman or Fishmaster so they can remove your name. This way, we can allow a maximum number of members to go on the Outing. If you are interested in being a Fishmaster, please contact Rich Bourdon at (415) 559-3919. The duties of the Fishmasters can be found here.